ISLAMABAD: Former prime minister Nawaz Sharif said on Thursday that his party Pakistan Muslim League-Nawaz (PML-N) is always ready for early elections. In an interview with journalists earlier this week, Prime Minister Imran Khan had hinted at early elections in the country. 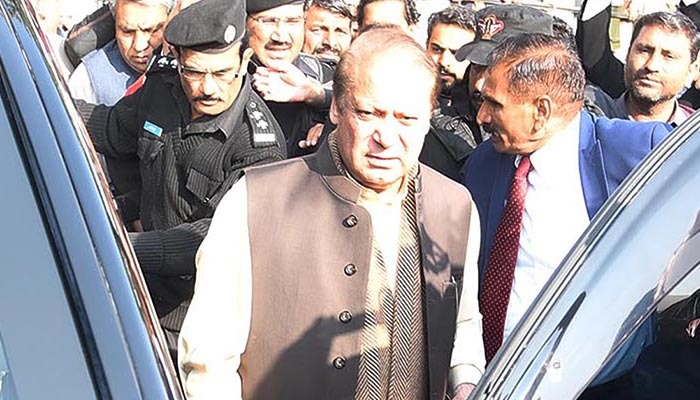 Nawaz held an informal conversation with journalists before the hearing of the Flagship reference at the accountability court. 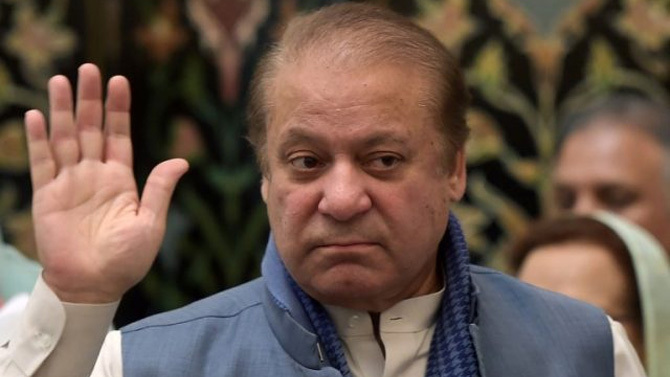 Nawaz Sharif said the prime minister’s statement regarding early elections had been welcomed by the people, who he said wanted the government to be gone. The former prime minister stressed that the PML-N believed in serious politics. He added that according to the report of the Free and Fair Election Network (FAFEN), the margin of win in 53 constituencies was less than rejected votes, adding that rigging had taken place. Hahahaha Mian chor shareef paaaagal ho chuka hey, he is a condemned prisoner.. Bloody chor, family chor and corrupt to the core, money launderer, idiot, stupid and a real MAAJHA..
And who told this chor that the rejected votes are of PML-N ??? Rigging is done for sure, in favour of PML-N in Punjab and for PPP in Sindh... these Maha-Chors appointments played their role in their favour in 2018 polls, as they did in 2013. Yes...They have long been deprived of HUMAN BLOOD... What else they could wish for? IK has the habit of ruining his outstanding interviews/speeches with one or two non-serious and off-the-cuff statements. These things can be easily avoided with a little care. Instead of speaking too much and too quickly, one should speak slightly slowly, and one should take pause after making a point. That gives a person bit of extra time to organize his/her thought process. adiyala jail bhi har waqt tayyar hai teray liyay k@nj@r g@nj@y..